Gareth Evans and Matt Clarke were on target as Woking suffered a 2-0 defeat at home to Portsmouth, who played their final pre-season game before the new campaign. Evans, who is currently on trial with the League Two club, opened the scoring in the 28th minute, latching onto a ball from Kal Naismith before firing it beyond Nick Hamann from 14 yards out. Four minutes later, Clarke, another trialist at the club, doubled the visitors’ lead when he headed home from a corner. Portsmouth looked lively from the outset, with Gary Roberts testing Woking goalkeeper Hamann three times in the opening six minutes. The 2008 FA Cup winners almost took the lead in the 12th minute of the match when Conor Chaplin fired a shot off the underside of the crossbar. The hosts did create their first chance of the game before that though. Jake Caprice burst to the byline on the right-wing and his cross was flicked on by Alex Smith. His shot was initially going wide, but it deflected off Portsmouth trialist Frank Van Der Struijk and was well saved by Brian Murphy in the visitor’s goal. This was to be the Cards’ only chance of the half, as their opponents took the lead through Evans. Naismith picked the ball up in a central position before finding Evans, who made no mistake. They almost doubled their lead moments later, when Evans’ shot was spilled by Hamann, but Joey Jones cleared it off the line and out for a corner just as Naismith was waiting to pounce. From the resulting corner, an unmarked Clarke doubled the visitors lead, heading into the far corner of the net as the Woking players could only watch on. After making three changes at half-time, Garry Hill’s side made a better start to the second half, with substitute John Goddard going close on two occasions in the opening five minutes. The attacking midfielder was again in the action moments later, but his shot was saved by the fingertips of Murphy. 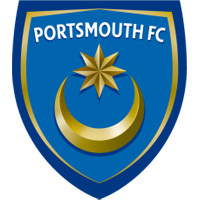 The Portsmouth goalkeeper, who was another player on trial, was forced into action again on the hour mark, but to no real danger as Jones’ long-range effort was comfortably saved. The visitors created their first chance of the half in the 67th minute, when Naismith squared it to an on-rushing Evans, but his low drive was superbly saved by substitute Jake Cole. Evans certainly impressed on his trial, and he almost made it 3-0, firstly heading a Roberts cross over before firing wide on the turn inside the penalty area. Scott Rendell Hihit the post with the final kick of the game but couldn’t carry any momentum from the win against Oxford into tonight’s game. They look to bounce back against another League Two side on Tuesday night when they host Leyton Orient at Kingfield. The Cards have won just one of their three pre-season friendlies so far, as Garry Hill continues to assemble his new squad after last season’s retirements and departures left him short on players. Woking XI: Hamann (Cole 45’); Ricketts (Beckles 75’), Saah, Yakubu; Caprice (Kouassi 58’), Jones, Poku (Murtagh 45’), Arthur; Smith (Goddard 45’), Rendell, Banya (Sole 58’).